Sharani Zuberu dazzled Sparta Prague fans by scoring two goals for his new club’s U21 game against rivals Slavia Prague on Thursday. His brace ensured that Sparta defeated Slavia by 5 goals to 2. Formerly of Dreams FC, the budding striker endeared himself to the away fans by netting on the 5th and 42nd minutes respectively. 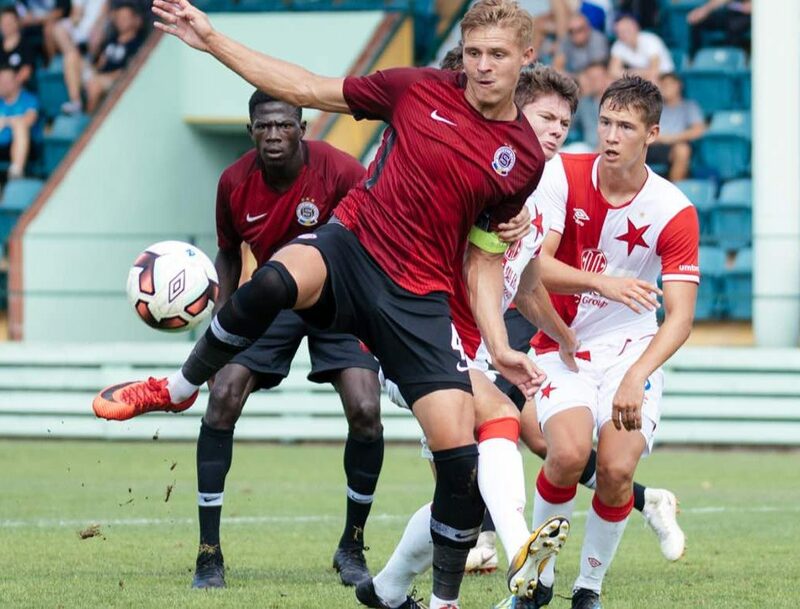 This was his third start of the 2018/19 Czech Youth League season having previously failed to score in the first two. The strong forward has been on the books of the Czech club since July 20. He joined the club together with Cletus Nombil, also of Dreams FC, on an initial one year loan. The duo have the option of getting a three year deal each after the end of the loan spell. Sharani scored 4 goals in the first period of the Ghana League season before securing this move. Cletus Nombil though is yet to kick the ball for his new club. Zuberu who spent 3 years with the Dawu based club was thought to be on the books of Bayern Munich and Anderlecht respectively.